 Short Stay Prague at Le Petit Hotel - come visit! Short stay Prague – the simple words that are truly an opportunity to experience the unique, the beautiful, the delicious and the impactful. From the unmistakable sights to the cuisine that’s just too delicious to fully take in during just one short stay, the capital of Czech Republic, or Czechia, as some like to call it, is certainly the place to visit, no matter the budget – though pleasant surprises may await in that respect. It’s hard to narrow down that beautiful city’s experience to just one viewpoint – there’s just as many correct ways of experiencing the city as there are tourists interested in getting to know it. On one hand, you have all the traditional landmarks, the ones that are to be found in every tour guide – stuff like the Astronomical Clock, the Charles Bridge, the St. Vitus Cathedral, the Municipal house and even the main Market Square itself are all truly world-class sights and true must-sees. The problem is, those are far from all that Prague can offer, even for those only interested in a short stay Prague. One has to consider the colourful culture and the culinary landscape. Missing those would be a real shame, no matter what country you have travelled from and what other countries you have been to. The Festival “We’re open!” starts on the 26th of April 2019 and lasts until the 28th. 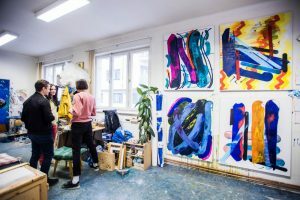 It’s located in various places around Prague – all scattered accross the artsy Praha 7 district. The festival opens doors of various design shops, galleries, studios, theatres and more. All visitors will have a chance to talk with the founders, and special exhibitions are sure to be prepared. What’s more, you can expect plentiful discounts! Sounds like some great souvenirs, does it not? There are plenty of cool spots for biking in & around Prague – click on biking around Prague to check it out! 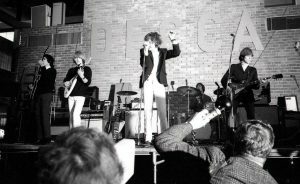 Fitting in exceptionally well with the Harley-Davidsons below, the Rolling Stones will grace Prague City with their presence on the 4th of July, armed with guitars, raspy voices and legendary lyrics. Just a day after the HD’s anniversary starts – a great time to plan a short stay Prague! 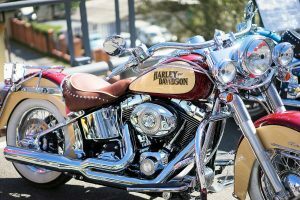 The Harley-Davidson’s 115th Anniversary is being commemorated with a large celebration in Prague, starting, very fittingly, on the the 4th of July with a Rolling Stones concert. The city will rumble with the sound of flathead engines and classic rock – a great place to be for a gearhead of any sort. The celebrarions are sure to provide a great share of custom choppers, classic Harleys, modern iterations of those and everything in between. We definitely count on great amounts of fantastic Czech lagers (and not just them) as the refreshment of choice, and the city’s historic architecture provides the perfect backdrop. Come and see what a Harley-infused short stay Prague is all about! As we promised, we will be updating this post with specific suggestions and routes, and to prove ourselves, we’ll start with the Easter Market on the old Market Square. It’s the perfect time to consider looking for a budget hotel in Prague city and making haste to visit the city, as the market is from the 17th of March until the 8th of April only – until the next year, that is. It’s the perfect spot to try all those fantastic Czech delicacies you’ve always wanted to try (or the ones you’ve never even realized existed), and wash it down with a pint or premium, local pils beer. The souvenir lovers and collector will be satisfied as well – there is always plenty of handicraft and local, traditional kinck-knacks available to buy! In collaboration with Mercedes-Benz, the Prague fashion week starts on the last day of August and is ripe with events and shows that are sure to be real feasts to the eye. Tickets still available! 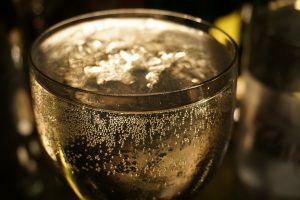 Who does not love Prosecco? The sparkling, dry wine has gained a lot of fans recently. Many of them in Prague, and they’re throwing a Proseccofest, where you can try all differents variations of it. With pairings, of course! If you want to attend, make sure your short stay overlaps with September the 2nd. Staré zámecké schody will be the place to be! For the more traditional among you, how about the Dvořák Prague International Music Festival? Taking place between the 2nd and the 21st of September, this famous festival focuses on the masterpieces of Dvořák, his contemporaries and his pupils. Dvořák Hall of Rudolfinum and The St Agnes Convent will be hosting the event. 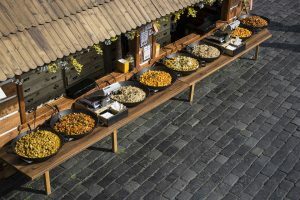 Starting just tomorrow, the Naplavka Street Food Festival is a way to taste food from all the wide world, and plenty from Prague, in one place. While the place is sure to be brimming with a large variety, also thanks to a variety of master chefs coming from all around the world, but you can also count on plenty of local food for a well-rounded experience. The value of our budget hotel Prague will enable you to spend your money where you want to spend it – on all the fun, attractions and taste of Prague. From the Astronomical Clock, the Charles Bridge all the way to traditional dumplings.